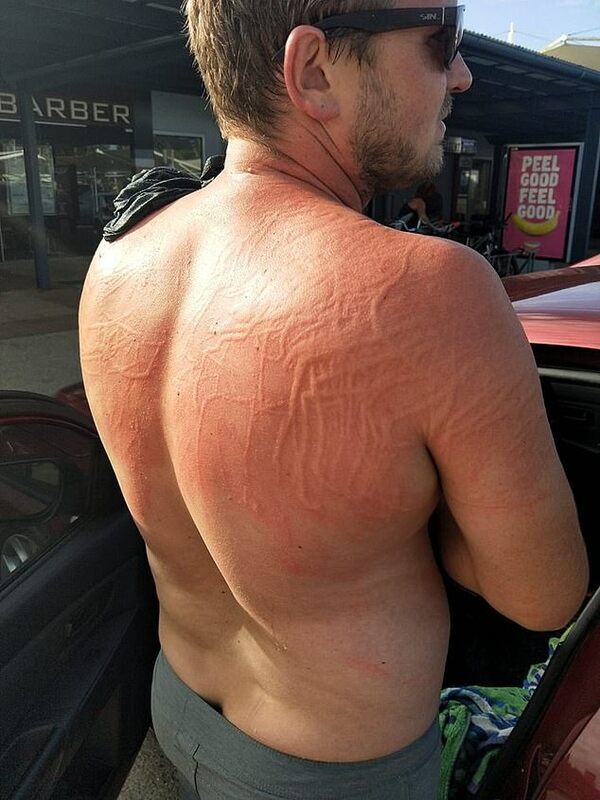 A man’s body was covered in excruciating welts after he was attacked by a jellyfish. 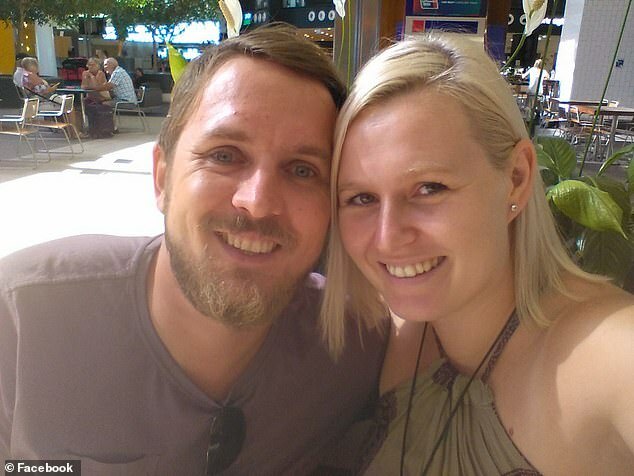 Brendan Osborn was swimming at a beach in Twin Waters, on the Sunshine Coast, Queensland, on Sunday afternoon when he felt something on his back. 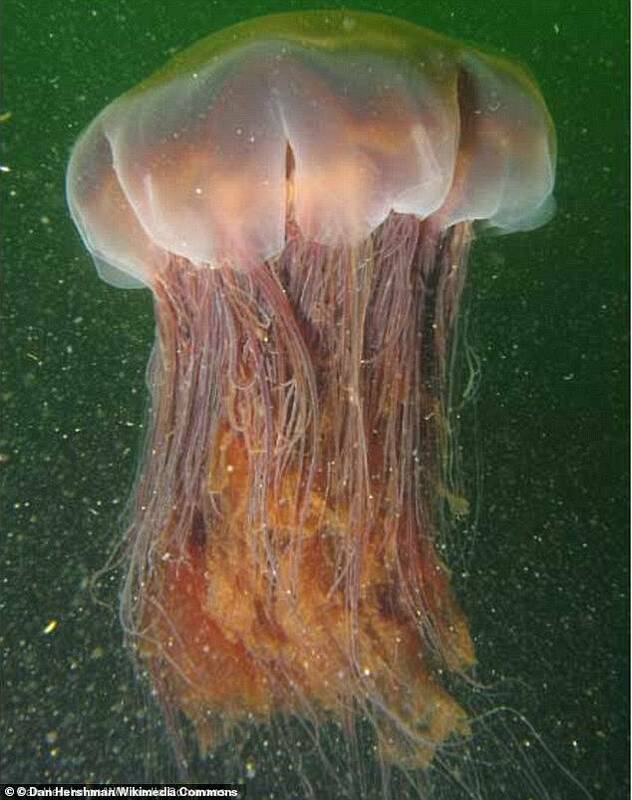 A 15-20cm jellyfish had latched itself on to the young father. ‘It felt like my back was on fire, a burning sting across my back and shoulders, some on my face and neck too,’ he told the Courier Mail. Mr Osborn ran from the water and covered himself in vinegar. He said the jellyfish was ‘white/clear with a brownish centre’. An expert said it sounded like Mr Osborn had been attacked by a ‘snotty’ jellyfish. Snotty’s are rare and very large. A handful of the stingers have been spotted previously after being washed ashore in Tasmania. This summer has been dubbed ‘the year of the jellyfish’ with record numbers recorded along the Gold and Sunshine coasts in Queensland this summer. So far there has been a staggering 22 hospitalisations from suspected Irukandji stings this season alone, which if left untreated could become deadly. Last weekend more than 2,630 people were stung on the eastern coastline, with several suffering symptoms akin to anaphylactic shock.